Harry has a busy junior practice specialising in traditional Chancery, art and cultural property and real property work. He is available to accept instructions in all areas of work undertaken by Chambers. Harry has experience across the range of traditional Chancery and private client work. He regularly advises and appears in court in probate disputes, claims for the removal of trustees and personal representatives, Inheritance Act claims, construction and rectification matters, breach of trust claims, proprietary estoppel actions, and variation of trusts applications. Harry has particular experience in contentious and non-contentious matters capital taxes and international matters. Contentious probate. Harry regularly advises and appears in court in matters concerning formalities, capacity, knowledge and approval and undue influence. Recent experience includes Shaw v Shaw  EWHC 18 (Ch) in which Harry appeared as successful sole counsel in the High Court, and the settlement of a long-running international probate dispute concerning a testator who died domiciled outside of the UK with assets situated in England, Jersey, Spain and Morocco. Proprietary estoppel and constructive trusts. Harry has broad experience advising and drafting proceedings in claims relating to family homes and agricultural estates. Harry appeared as sole counsel in a four-day High Court trial in Dobson v Griffey  EWHC 1117 (Ch). Harry was also instructed in the Fielden v Christie-Miller litigation, acting for the Part 20 defendants in a dispute concerning a £40m estate in Oxfordshire. Harry appeared as a sole advocate in the interim applications court  EWHC 3959 (Ch) and as a junior in two successful interim hearings:  EWHC 87 (Ch) and  EWHC 2940 (Ch). The case spanned a wide range of legal issues, including rectification, proprietary estoppel, unanimity of trustees, non-fettering of trustees, alleged defective execution of a will, and removal of trustees. Inheritance Act claims. Harry is currently instructed in relation to a £10m Inheritance Act claim concerning a landed estate. Removal of trustees and personal representatives. Harry appeared as successful sole counsel in the High Court case Numan v Munter  EWHC 885 (Ch). He has also acted in proceedings concerning the administration of the estate of a Russian national murdered in Moscow (which involved issues as to service out of the jurisdiction by email) and for the family of a well-known Olympic athlete. He has had particular success in applications to summarily dispose of such claims. Trusts and taxation. Harry has recently advised in relation to matters involving for example de-enveloping of UK properties held in offshore trusts and companies, and re-organisation of holdings in Liechtenstein trusts and trust enterprises for Swiss resident, UK domiciled individuals. Harry has been instructed on a number of matters concerning the forfeiture rule. He was instructed (led) to represent the defendant beneficiaries in a claim brought by a claimant who killed his father and grandmother. The claimant claimed that he suffered from schizophrenia at the time of the killings and sought relief from the forfeiture rule and relief under the Inheritance Act. The claim settled before trial. Trusts and divorce. Harry has recently been instructed (led by Penelope Reed QC) to represent trustees of a family trust in divorce proceedings, with litigation taking place both in the Family Division and the Chancery Division. Harry has particular experience of trustees seeking Beddoe relief in this context. Prior to commencing practice at the bar Harry taught on the undergraduate Principles of Commercial Law course at Oxford University. He is happy to advise on commercial matters, particularly those involving a Chancery element. Unfair prejudice petitions. Harry has experience acting both led and unled bringing and defending unfair prejudice petitions. Charging order dispute. Harry represented the defendant in High Court proceedings concerning the enforcement of a charging order. The key issue concerned the interpretation of a settlement of Queen’s Bench Division proceedings in 2009 after the collapse of a diamond-trading business. Loan disputes. Harry has advised in relation to a contemplated claim by Jersey-based trustees of an offshore trust for repayment of loans made to entities involved in oil and gas development in the Middle East and Africa, and (led) in relation to the interpretation of two convertible loan agreements which were the subject of litigation in Singapore. Document review. Harry was instructed by a leading City firm as independent Counsel to review a large volume of documentation and advise the firm on the existence of conflicts of interest and the firm’s ability to act in multi-jurisdictional £100m litigation. Plantagenet Alliance Ltd v Secretary of State for Justice. Harry was instructed (led) to advise and represent Leicester City Council in relation to the dispute concerning the place of re-interment of the remains of King Richard III, which were discovered underneath land owned by the Council. G v Everything I Want Ltd (2017, QBD). Harry advised and appeared in the Queens Bench Division on a successful Norwich Pharmacal application concerning the sale of a painting for $15m. A v Borro Loan 4 Ltd (2017, Ch D). Harry advised and appeared in the interim applications court on two urgent applications concerning the auction at Christies of £10m of wine subject to a pledge. Jeddi v Sotheby’s. Harry (led by Henry Legge QC and Luke Harris) advised in this dispute concerning ownership shares in a £5m crystal jar on issues regarding interpleader and disclosure. Dispute concerning salvaged property. Harry advised and drafted proceedings (led) in a matter concerning title to, and the sale of, three cannons of Dutch manufacture recovered from the wreck of a 17th Century warship. Early 20th century painting. Harry was instructed (led) to advise the heirs of the sitter and owner of a well-known painting for its return from the National Gallery in London. Claim against a bank. Harry advised in relation to a proposed claim against a bank regarding the loss of valuable jewellery missing from a safety deposit box held with the bank. Paintings in the possession of the police. Harry advised and appeared in court on an application under the Police (Property) Act 1897 relating to paintings in the possession of the police. Sale of goods and choses in action. Harry is co-editor of the volumes of the Encyclopaedia of Forms and Precedents entitled Sale of Goods and Choses in Action. Advising (led by Henry Legge QC) a very large occupational defined benefit pension scheme in a claim relating to the incorrect calculation of benefits paid to spouses of members who died in retirement. 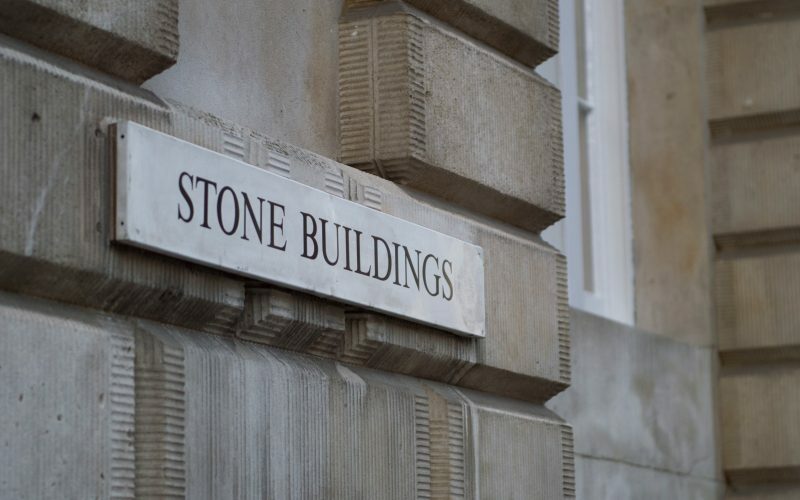 Representing (led by Henry Legge QC) the employer and trustees of an occupational defined benefit pension scheme in a claim concerning construction, rectification and mistake in relation to the terms of certain scheme resolutions and deeds. Harry regularly appears in court in relation to residential and non-residential landlord and tenant disputes. He also advises on other real property issues concerning, for example, adverse possession, easements and boundary disputes. Injunction proceedings. Bringing and defending urgent applications in the Chancery Division and the County Court for re-admittance to property after entry by the landlord. Opposed and unopposed claims for lease renewal under the Landlord and Tenant Act 1954. Recent instructions have included advising on and settling proceedings in relation to the premises of a Marylebone art gallery and a business on the Burlington Arcade. Enforcing unpaid licence fees. Harry represented the claimant licensor in a successful trial claiming unpaid licence fees, insurance and service charges. The key issue at trial was the actual or apparent authority of an employee of the licensee to enter into a new licence agreement with the licensor. Harry has experience in obtaining orders for the eviction of squatters. On a pro bono basis he has also represented a group of protestors responding to a claim by a property developer for possession and injunctive relief regarding premises in and round Denmark Street, Soho (known as “Tin Pan Alley”). Re Telrock Communications Limited. Harry was instructed in High Court proceedings on behalf of the applicants, seeking to reverse the decision of liquidators to refuse to admit the applicants’ proof of debt in the sum of c. £500,000. The case concerned the nature and terms of the contractual relationship between the applicants and the (now insolvent) company, as well as the liquidators’ obligation to provide disclosure. The parties engaged in what is thought to be the first early neutral evaluation in the Companies Court and the case settled shortly before trial. Re Nortel Networks. Harry was instructed to act as part of a team for the European administrators in relation to this very large, multi-jurisdictional insolvency dispute. Harry’s role involved reviewing the depositions of a large number of witnesses to facilitate the marshalling of the evidence into the written arguments. Acting for trustees in bankruptcy. Harry is regularly instructed by trustees in bankruptcy in relation to matters such as annulment, possession of tenanted residential premises (in particular the High Court appeal in Re Bolter reported at  BPIR 367), and possession and sale of property). 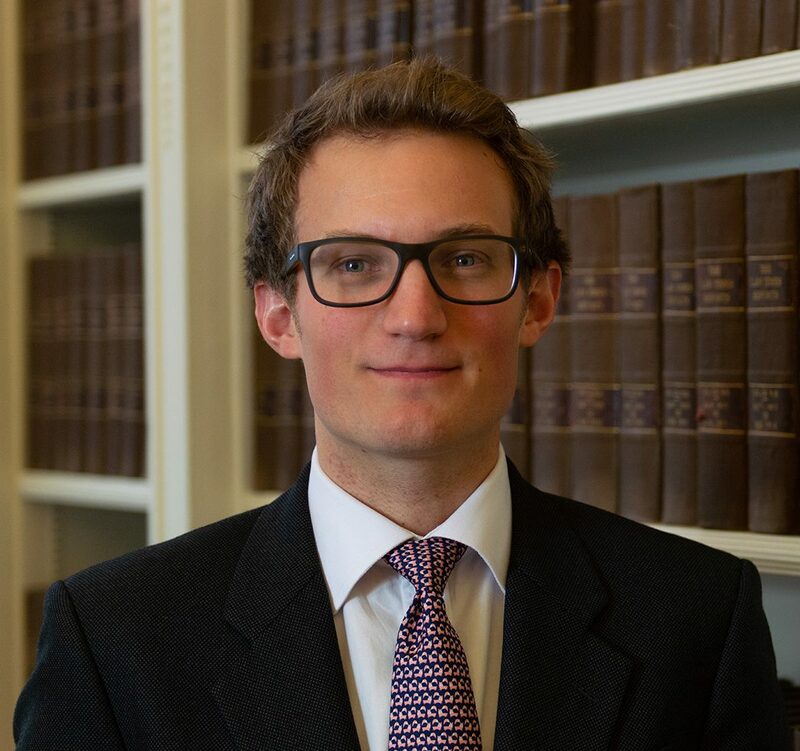 Harry read Jurisprudence (Law) at the University of Oxford, Keble College. He achieved a Distinction in his first year Law Moderations, a scholarship in his second and third years, and First Class Honours. After obtaining his undergraduate degree Harry took the Bachelor of Civil Law (Masters) at the University of Oxford, Keble College in which he achieved a Distinction. Harry undertook the Bar Professional Training Course at BPP Law School where he was graded as “Outstanding”. Contributor to Heritage, Ancestry and Law: Principles, Policies and Practices in Dealing with Historical Human Remains (Institute of Art and Law; 2015). The Tadros Case  EWHC 2860 (Ch): Concurrent Probate Actions and Anti-Suit Injunctions (October 2014 edition of the ACTAPS newsletter). The Contractual Importance of Committing to Paper(Journal of Art, Antiquity and Law, October 2013). Protecting Cultural Assets in the Event of Insolvency(Journal of Art, Antiquity and Law, January 2013). Harry also writes headnotes for the Wills and Trusts Law Reports (recent examples include the headnotes for Freedman v Freedman EWHC 1457 (Ch), Credit Agricole v Papadimitriou  UKPC 13, P v P  EWCA Civ 447, Law Society v Elsdon  EWHC 1326 (Ch), Bagum v Hafiz  EWCA Civ 801, and Kennedy v Kennedy  EWHC 4129 (Ch)). Speaking to the annual conference of the British-German Jurists’ Association in Dublin (April 2015), the Withers Art Law Group (November 2015), and the Institute of Art and Law (November 2015) on The Life, Death and Legal Battles of King Richard III. Speaking at seminars organised by the Institute of Art and Law on topics including: Temporary Export Licensing(May 2015), Building Contracts and Antiquities (December 2014), The Return of the Ghandharan Buddha (September 2014), and The Compatibility of Anti-Suit and Anti-Seizure Legislation with the European Convention on Human Rights (2013, in Berlin). Delivering seminars on the changes to the rules of intestacy and family provision claims brought about by the Inheritance and Trustees Powers Act 2014 to Farrer & Co, Charles Russell Speechlys, Boodle Hatfield, Withers, Radcliffes Le Brasseur and Henmans Freeth (2014–2015). Click here to view Harry’s Privacy Notice.